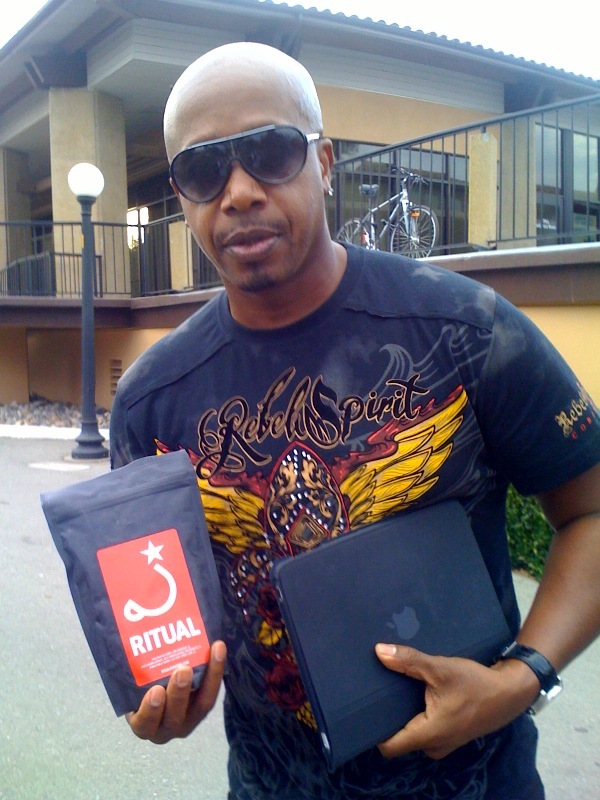 Ok…maybe I should say, “MC Hammer *will* drink Ritual Coffee”. Now, the story behind the crazy blog title, and the photo. This past Saturday I went to Startup School, which is a one-day free seminar sponsored by the good folks at Y-Combinator. Given that not everyone who reads this is a tech nerd in the Silicon Valley, Y-Combinator is a prominent start-up incubator here in the Bay Area. They invest in start-ups, and mentor them to help get them going and (hopefully) become successful. Last week, I pinged the guys over at De La Paz and Ritual to see if they’d be into giving me some coffee to hand out. There were several big names in the tech world speaking (Mark Zuckerberg, Ron Conway, Paul Graham, etc.) so I figured, hey…if there’s a chance that Mark Zuckerberg gets some coffee and then goes onto Oprah and talks about how awesome it is, that can’t be a bad thing. Armed with a dozen bags of Ritual and De La Paz, I drove down to Stanford early on Saturday. The conference was really good. BTW, favorite talk was from Tom (@mojombo) from Github: Optimize for Happiness…yes! Anyway, I gave out a few bags of coffee to some fellow entrepreneurs I was talking with as well as Tom of Github. Zuckerberg was surrounded by groupies and paparazzi, so there was no way I was going to get close to him without being totally rude. As the conference ended, I headed out of the auditorium and saw that Ron Conway was talking with MC Hammer, who was there in the audience…..apparently they’re friends, and I think he has a startup of his own. I figured this was my chance to give someone famous the free coffee I was carrying around. I putzed around on my iPhone while Hammer and Conway finished their conversation, then made my move. Hammer was super cool and very gracious. I’ve cut out some of the dialog which proves how nice he was simply b/c I don’t remember the details, but he was very cool about the whole thing. I honestly hope he brewed up some Ritual Coffee this morning and that it put a smile on his face. Hammer, if you ever read this….thanks for being such a good sport! And again, to all those who donated their time, energy and money to Startup School, thank you! Roastlog gets better with every posting. What a great company! “Can’t touch this.” Funny. Ron Conway knows *everybody* though. You could do a “Three Degrees of Ron Conway” and reach half the world’s population. Still, There are so many unholy parallels between “Third Wave coffee” and “Web 2.0” that this article almost makes me queasy.